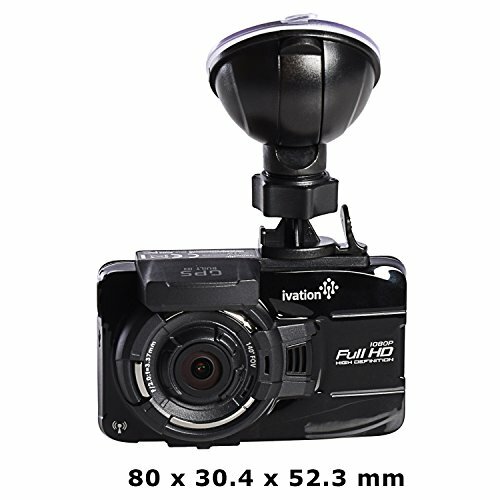 1080p is a term that you will come across frequently if you are looking to purchase a new dash camera for your vehicle. It is shorthand for 1920×1080 pixels of resolution – what is more commonly known as Full HD. Regular HD is 1280×720 pixels of resolution, so with Full HD, you are getting a sharper, clearer picture with a display/content aspect ratio of 16:9. 1080p is the standard resolution for TV’s, laptops, cell phone displays and Blu-Ray discs. All that this technical jargon means is that with a 1080P dash camera you are getting a higher resolution and ostensibly, a better picture when you play back your recordings. With so many great (and cost effective) options on today’s market, you really shouldn’t opt for a dash cam with a resolution lower than 1080p. The exception to this rule of course would be a dual channel dash camera – one with a front facing camera and back facing camera. Often the camera that faces the rear will film only in 720p just so the processing chip inside the device isn’t overworked. Apart from 1080p cameras, there are also a number of cameras that operate in even higher definition. Some shoot in what is known as super HD or 1296p (2304×1296 pixels). 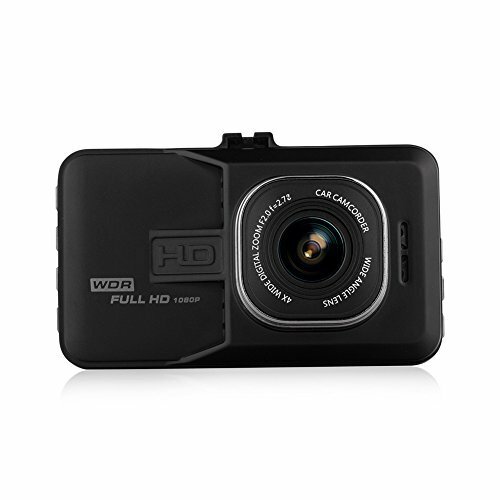 There are even a few dash cameras that film in an impressive 1440p (2560×1440 pixels). With that said however, for most people looking to protect their vehicles, that amount of detail in the recordings is probably unnecessary. 1080p cameras record what you see in front of you just fine and will allow you to capture important details that could protect you and your vehicle in the long run. As technology advances rapidly, you’d be hard pressed to find anything less than 1080p on the market unless you are buying your camera used. Almost every camera you find now boasts full HD resolution. And so the question becomes – are all 1080p cameras equal? Which ones offer the truest form of full HD? Which are the best buys and which are the duds? Questions abound when you start looking at the sheer number of options and these questions multiply when you consider the fact that new and improved dash cameras are emerging onto the market ever month. To save you the time and headache of sorting through the best 1080p dash cams, we’ve put together a list for you here. We’ve already done the hard work. Sit back and read through our list of the best 1080p dash cameras – we’re confident you’ll find a product on our list that meets your exact specifications. If 1080p is Good, is 1296p Better? 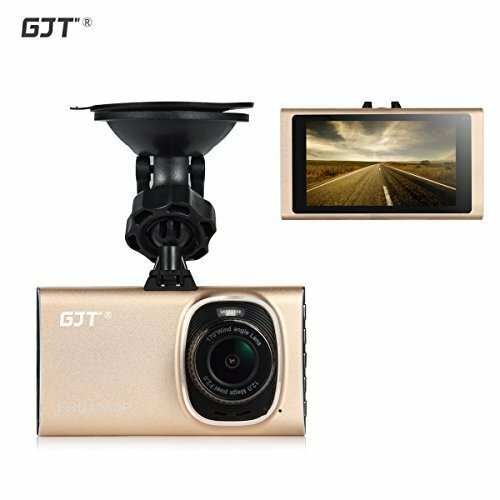 The GJT is more typical of 1080p dash cams. Essentially it looks like a point and click camera that faces the road and can be attached to your windshield with a suction cup that holds the device in place. The GJT boasts loop recording, which means that it will rewrite over the oldest videos files first once the SD card is full. The benefit of this of course is that you never have to worry about changing out the SD card while driving. Or worse, you never have to worry about not knowing that the SD card is full and then not having any space left to record video when you need it most. The GJT also films in a super wide fish eye lens that captures 170 degrees of the road in front of you, meaning you get more of the scene as you move about the world. The Ivation dash cam looks very similar to the GJT, but offers a few more features at a higher price point. Sleek and reliable, the Ivation, like the Goluk T2, boasts Wifi capability that allows the camera user to upload or send on videos right then and there. With the application installed it even means you can view footage remotely. And with the added GPS antenna tracking feature that comes standard, if you loan your car to a friend or child or someone in the company, you will always know where your car is or where it has been. When hardwired to your vehicle, the Ivation offers a superior parking mode function with motion detection software. Whenever you leave your car the Ivation has you covered and will begin recording should it detect any motion in front of your vehicle – a great way to protect against vandalism or to see who’s been checking out your ride. The Vantrue X1 is a handsome looking dash cam that films in full HD and boasts superior night vision capabilities. The HDR video system automatically adjusts the camera in poor or low lighting conditions to ensure that you always get a high quality picture. Like the Ivation, the Vantrue X1 also comes with a motion detector that can be set up in parking mode. If someone or something moves in front of the cameras field of sight (closer than 33 ft. away), the Vantrue X1 will automatically begin recording. The good thing about this is that your car is always kept safe even when you aren’t with it. The bad thing about this might be that the sensitive nature of the parking mode may end up capturing a lot of unnecessary footage. With that said, the Vantrue X1 comes with a number of adjustable settings whereby you can increase or decrease the sensitivity of the motion detection software, or simply turn it off completely. The ETTG is another great dash cam that films clearly in 1080p. It can also be adjusted to film in 720p but we wouldn’t advise that. The only reason you would film in 720p is to save room on your SD card, but with continuous loop recording, this makes this totally unnecessary. The ETTG also comes with G-sensor technology that automatically locks any footage recorded when the camera detects unusual movements or vibrations. The reason or this is so that if God forbid you were to get into some kind of accident, the footage from that accident would be locked and saved so there is no chance you might unwittingly film over it or delete it. The ETTG dash cam can accept SD cards up to 32 GB and attaches to the surface of your choice via a flat suction mount. The Binwo 1080p dash cam is a good option that won’t break the bank. Simple and easy to use, the Binwo, like the GT Road, can film 170 degrees of the view out the windshield for an undistorted panoramic view. The Binwo also comes with a G-sensor, which automatically locks any files recorded during a moment of unusual vibration within the vehicle. Loop recording means that you’ll never have to worry about swapping out SD cards. In that sense, the Binwo is fully automatic – if the car is on, the camera is recording! The BlackSys like the SplashETech is another dual channel dash cam. The BlackSys gives you superior coverage of both the front and back of your vehicle, though it is important to note that the front facing camera films in full HD at 1080p and the back facing camera only films in 720p, regular HD. This shouldn’t prove to be a problem, however,because with 720p will still get the footage you are looking for, especially if a car is close enough to be tailgating you or following you aggressively. 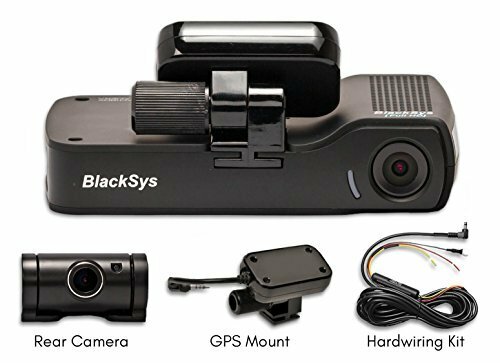 The BlackSys’s small, stealthy design makes it easy to hide it within your vehicle, and does not look like a video camera to passersby. The BlackSys also comes with a great Wifi app that allows users to edit and post videos without having to transfer files to a computer or other device. It can withstand extreme temperatures ranging from -4 degrees Fahrenheit to 158 degrees Fahrenheit making it an ideal choice for those living in hot or cold climates. The Crenova dash camera is a unit unlike any other on the market. It is a dual channel camera meaning that it films the front of the car and the rear simultaneously – the front captures what you see out of your windshield and the backward facing camera is useful for recording tailgaters or aggressive drivers. Whereas most dash cams are small cameras that affix to the windshield with a suction cup, this camera is much larger and fits over the rearview mirror like a sleeve, held in place by silicon elastic bands. Essentially the Crenova becomes a kind of high tech rearview mirror. The massive 5 inch LCD screen means that you can change settings by simply touching the mirror itself instead of having to remember all the different buttons and fiddle with them while driving. The Crenova gives you a picture in a picture display. There is a rectangular area in the center of the Crenova which gives the view of what you are filming ahead of you. In a smaller rectangle in the lower right hand corner you get a view of what you film from behind. The Crenova always films in full HD at 1080p and is a great option for those looking to buy a unique dash camera with a modern design. The Goluk T2 is a higher end dash camera that films in full HD at 1080p. It can accommodate SD cards up to 64 GB, which equates roughly to 8 hours of footage. Once the Goluk T2 fills the 64 GB card, it will then, like the GJT, begin recording over the oldest footage first, ensuring you never miss a moment on the road. The Goluk T2, like the Crenova, boasts a unique design. Cylindrical, it doesn’t even appear to be a camera, which is great for protecting it from the prying eyes of would-be thieves. The Goluk T2 also boasts Wifi capability meaning you can upload and send on videoswith the swift click of a button. It even comes with a unique Magickey device which when clicked will take a 12 second video of the journey and allow you to share it instantaneously with friends or other web users. The device itself is 360 degrees rotatable so that you can adjust it to your desired position within the vehicle, whether that be forward facing or backwards facing. The GT Road dash camera films in full HD (1080p) and boasts a superior fish eye lens that can capture 170 degrees of the road in front of you. This means you get footage not only of what is seen immediately through the windshield, but also what goes on in the lane both to the left and to the right of you. If there someone is drifting out of their lane or if there is any unusual debris in the road that could cause a potential accident, the GT Road will be able to capture this. Along with motion detection and parking mode, the GT Road also comes equipped with WDR technology, which gives a great shot of the road at night. The SplashETech, like the Crenova, is a dual channel recorder, meaning that there are two cameras filming simultaneously: one forward facing, the other facing the rear. It boasts a massive 4-inch screen that allows you to change settings or watch playback of your videos with ease, meaning you don’t have to upload your files to some external viewer. Furthermore, it films in 170 degrees wide angle, like the Binwo, so that you can be assured you never miss an important detail due to a blind spot. The SplashETech’s unique appearance, ultra slim and lightweight body is made of a durable aluminum alloy that protects the internal parts against wear and tear. As you watch your videos on the SplashETech you will see a picture in a picture – the front facing camera will be the larger picture and the back facing camera will be the smaller one in the lower right hand corner of the screen. 1080p dash cameras, if they are true 1080p, are able to capture a surprising number of detail when used in favorable lighting situations. These cameras are able to capture important details like license plates numbers, street signs, and sometimes even the facial characteristics of other drivers on the road. This is important for a number of reasons. What happens if for instance you are involved in a hit and run accident, but your 720p camera isn’t able to capture the license plate of the other car that hit you? In many ways you’re simply out of luck – you might as well have never bought the camera in the first place. Furthermore, if you believe that you are innocent of any charges brought against you in a car accident, the footage will need to be crisp and clear so there’s no reasonable doubt as to what occurred and how. For evidence to be admissible (either in court or for insurance agencies) there needs to be a minimum standard of visibility that can confirm, without a doubt, the identity of the perpetrator in question. For these reasons, we do not recommend buying a dash camera with a resolution under 1080p. But a 1080p dash camera is more than just a preventative measure against potential accidents. A 1080p dash camera allows you to film the beauty of the world outside as you pass through unusual landscapes. It allows you to capture that epic sunset as you drive through the desert, the lake that can be seen hidden behind a forest of trees, the sea as it comes into view during your drive down from the mountains, the group of deer that bound across the road in front of you – The possibilities are endless! On the opposite end of the spectrum it also allows you to film the not-so-pretty things we see on the road each and every day. Incidents of road rage, aggressive drivers that cut in and out of lanes without heeding the safety of others, stupid drivers, drunk drivers, rude drivers – the possibilities are endless on this end of the spectrum as well. In recent times dash cam videos have become increasingly popular and are frequently uploaded to sites like YouTube and Facebook and Instagram. As more and more dash cameras come equipped with Wifi technology, you will be finding instances of people on the road uploading driving videos, for good or for bad. You’ll find many debates about these topic online. The short answer is yes – 1296p is a higher resolution that 1080p, and so is more likely to capture more detail.When broadcast onto a larger screen, will be less likely to devolve into a pixelated mess. But the long answer to this questions is – it depends on what you want to use the camera for, exactly. Most people buy a dash camera in order to capture the road in front of them and as a kind of backup in case they get into an unfortunate circumstance on the road. In this scenario, a 1080p dash cam is more than fine. You will have no problem determining the license plates of other cars and street signs, which are really the two most important things to get from your videos. 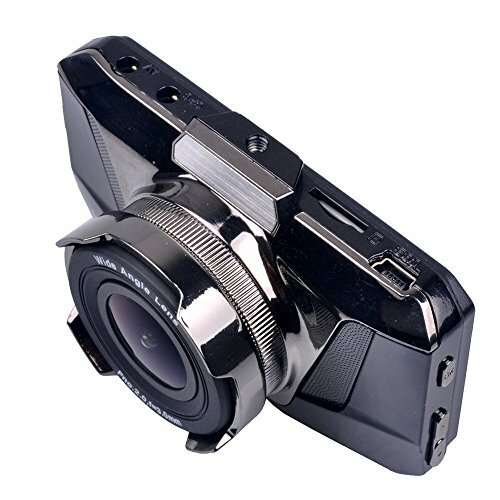 But maybe if you are looking to create a more artistic footage and are going to be showing your videos on large screens or uploading them to YouTube or trying to make a documentary of your epic road trip, maybe you want to go with the 1296p camera. This questions also depends on your eyesight. Some people claim to be able to tell a big difference between a 1080p cam and a 1296p cam. Others claim there is no difference at all, or at the most, such a small difference in quality that at the end of the day it doesn’t make a difference and isn’t worth the extra money. While it is true that typically 1296p dash cams cost more than 1080p ones, this is not always the case. There are some very expensive 1080p cameras out there, which come with all kinds of bells and whistles, and there are some very affordable 1296p dash cams that perform only the most basic of functions but guarantee a super crisp image. At the end of the day, the answer to this question is yours and yours alone. Consider carefully what you’ll be using the camera for first. As long as your dash camera is at least 1080p, the most important thing to do is to identify your price point and then work within that limitation. Dash cameras have evolved a great deal since they were first used in police cars in the 1980s. Not only have these cameras become much smaller and less unwieldy, but also the resolution of the cameras has improved dramatically. It shouldn’t come as any surprise if in the next few years, all cameras move towards an even higher resolution. There will probably come a day when 1296p is the market standard. But for now 1080p is fine, or more than fine. Full HD resolution means that your dash cam footage is of a superior quality and can be used legitimately to prove your case to insurance or law enforcement should you end up in an accident. One account online talks about a young man who was hit by a mother at an intersection. The police were more likely to believe the mother who was claiming it was the young driver’s fault. But with video evidence on his side, he was able to prove his innocence and law enforcement acted accordingly. You never know when an incident like this is going to occur. With the amount we drive on the road, a similar situation may not be as unlikely as you think. A 1080p dash cam gives you that peace of mind you need so that you can enjoy the drive and rest easy, knowing that if anything goes wrong, you’ve got the truth on your side. As the saying goes: it’s better to be safe than sorry.